The opening ceremony of the 2018 FIFA World Cup as well as the tournament’s opening match between Russia and Saudi Arabia served as a great excuse for the heir to the Saudi throne to pay a visit to Moscow. 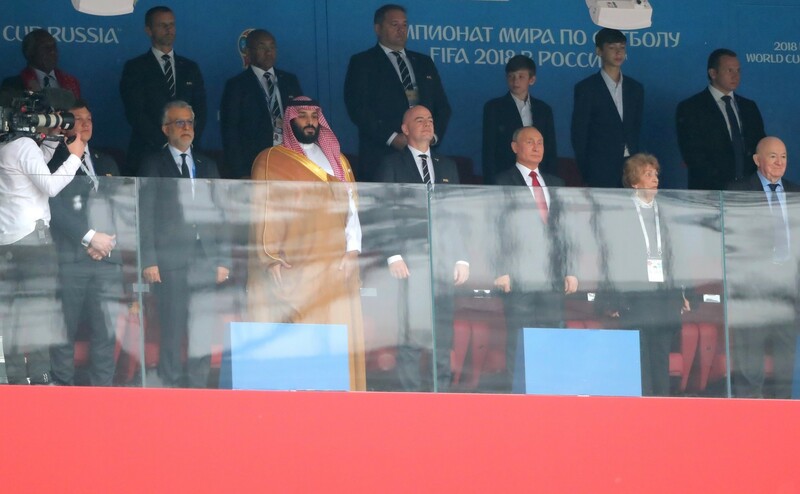 Instead of paying attention to the result of the game (Russia beat Saudi Arabia 5-0), Prince Mohammed bin Salman was more interested in oil diplomacy. That is why he was accompanied by Saudi Energy Minister. The first challenge both countries have to struggle with is the necessity to unfreeze the production of the raw material in order to prevent further price increases. However, such solution has already been criticized by Russia’s allies: Iran and Venezuela. Also Donald Trump added his two penn’orth to the debate saying that the OPEC+ coalition needs to take into account such powerful player as the United States. The Saudis have long signalled their eagerness to strengthen economic cooperation with Russia, which was successfully initiated by the deal to limit oil output. However, Russia is in no hurry to accept further committments (we wrote about it in April this year). Today, it is difficult to predict to what extent both countries will extend their cooperation in the oil sector, which was jointly announced on June 14 by Russia’s Energy Minister Alexander Novak and his Saudi counterpart Khalid A. Al-Falih. They have agreed to work on a comprehensive bilateral deal. In 2016, OPEC, Russia and other non-cartel countries associated in the OPEC+ format agreed to reduce output by 1.8 million barrels a day when prices dropped below 30 dollars per barrel. In 2017, oil prices were rebuilt and stabilised at the level of 50 dollars per barrel; this year, they have already skyrocketed up to 80 dollars. As OPEC’s informal leader, Saudi Arabia is determined to maintain a limited supply of raw materials and it would be happy to see crude rise to even 100 dollars a barrel. Nonetheless, Moscow seems to have a slightly different approach. At the end of May, Vladimir Putin announced that they “are not interested in an endless rise in the price of energy and oil”. Russia will be satisfied with the price of 60 dollars per barrel, which is clearly below the current average (75-80 dollars). All Russian companies are in favour of increasing oil extraction; nevertheless, it seems that such state of matters is most interesting for Rosneft. 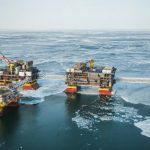 Russia’s state-owned oil giant, which accounts for extracting 40 percent of Russian oil, claims to be able to increase its production capacity by 150,000 barrels per day in three months. 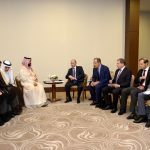 It is likely that Riyad had to paid Moscow the price for closer cooperation as evidenced by its agreement to increase oil production by 1.5 million barrels a day in the third quarter of 2018. Russia and Saudi Arabia plan to address OPEC structures in this respect. Member of the organisation are scheduled to meet on June 22 in Vienna with the aim of making some decisions on the future of the 2016 agreement. Russia, Kazakhstan and other non-cartel countries will joint the summit a day later. If countries make a decision on increasing oil extraction, it will be tantamount to the same situation that already took place in 2016. “Unfreezing” oil production would apply for a quarter; final decision would be taken in September and a lot would depend on the situation on the market. Such countries as Iran, Iraq and Venezuela are against the modification of the 2016 deal as they are satisfied with higher prices of the raw material and, at the same time, they have no capacity to increase oil production. However, such factors as potential U.S. sanctions on Iran and the crisis in Venezuela are causing concern among the biggest players belonging to the OPEC+ coalition about too high prices, which will induce other entities, especially American shale oil producers, to increase their output. U.S. President Donald Trump blames OPEC for the rise in oil prices. However, Iran and a number of analysts strongly believe that U.S. policy has contributed to oil price growth, which may be perceived as the effect of sanctions imposed on Venezuela and Iran, both of them being OPEC members. Moreover, Mr Trump added fuel to the flame; due to his intervention, the Viennese summit may witness a very hard fight between supporters and opponents of the idea to unfreeze oil extraction.